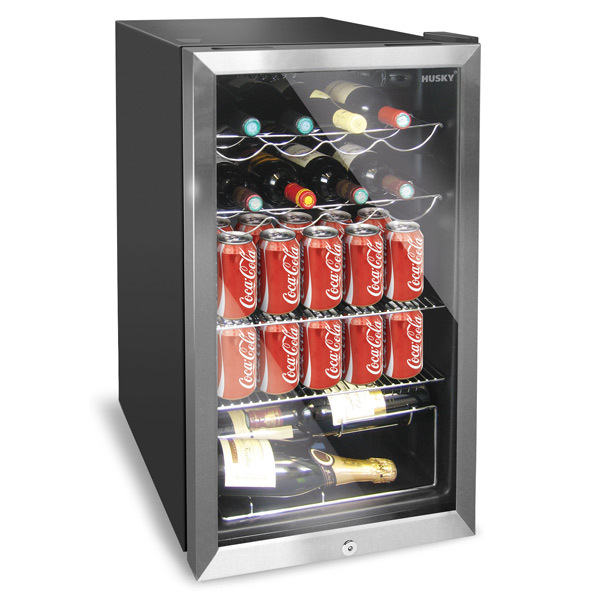 Make sure you're always stocked up on your favourite wines, beer and soft drinks with the Undercounter Wine and Drinks Refrigerator. Offering a large 20 wine bottle capacity or mixed storage capacity with a choice of shelf configurations, this refrigerator allows you all the cooling space you need for a selection of chilled beverages. Ideal for home bars, dens, studios and light commercial use, this undercounter fridge features a glass front and internal illumination for a clear display. The generous 93 litre capacity ensures you'll be well prepared for any occasion. Delivery Notes: This item allows curbside delivery only. Once the item is delivered, it is the responsibility of the customer to transport it further. "This is a quiet fridge. It has flexibility on spacing for drinks. It fits perfectly under our breakfast bar and looks impressive. Keeps drinks cold at different temperatures. The only downside is that internal light is either always on or off rather than lighting up when the door opens."